It’s good to see both ends of the spectrum not just the cheapest, but also the rarest and most expensive of muscle cars. 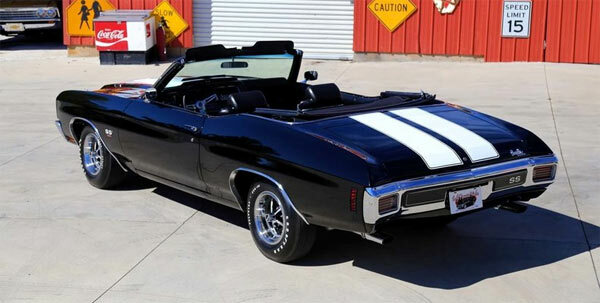 This 1970 Chevelle SS is at the top end pricewise. Not as expensive as a rare Hemi Cuda, but arguably one of the finest. The car is said to be one of only 100 LS5 convertibles and only one of 5 in this colour combo. It’s one of the best of the year with the ubiquitous 454ci. V8 engine, still famous today for its power and torque. The car has had a full frame off restoration and as you would expect for the asking price of a touch under $140k, the car is immaculate throughout. Black, red or blue Chevelles all look very cool, but it’s the sinister look of the black models which seem to stand out. The Tuxedo Black you see here has the definitive white SS stripes and a revitalised convertible power top for those sunny days. The interior has been put back to its original factory 756 Code, with seemingly replacement items were needed, such as door panels, seal plates and carpets. Tires are in the form of factory 14×7 SS Rallye’s with F-7014 Goodyear Polyglass white letter tires upfront. 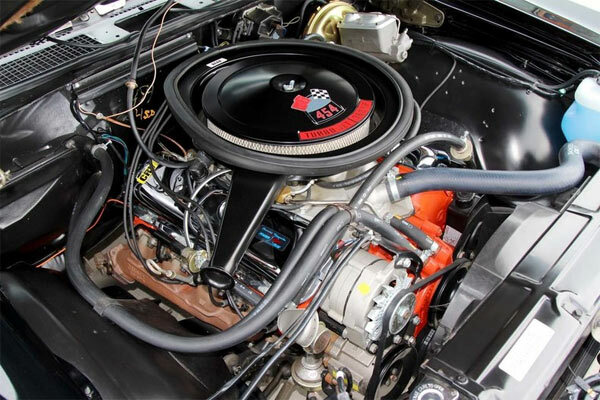 The biggest draw here is the powertrain which is a 963512 casted 454 Big Block V8, with ’70 model GM Aluminum Intake (3963569), Dual Line Holley carb., sitting under a cowl induction hood with cold air induction flapper, going to a Muncie 4 speed transmission and a 12 Bolt Posi. rear end. The engine also has factory style chrome valve covers, stock style breather, factory style smog pump and lines. 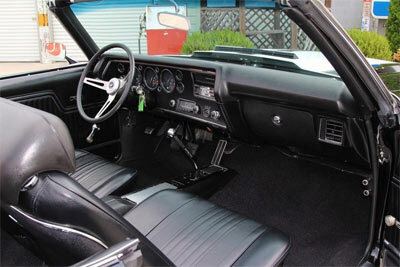 The Chevelle also has power steering and brakes with discs upfront. The listing says that it comes with a built sheet, but no other details about its back history. The Chevelle is clearly a sight to behold and for anybody wanting the best of the best in vintage muscle cars, this is possibly the best you can get. 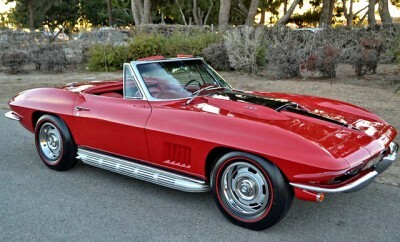 1967 Chevrolet Corvette L71 427/435, 1 of 5. 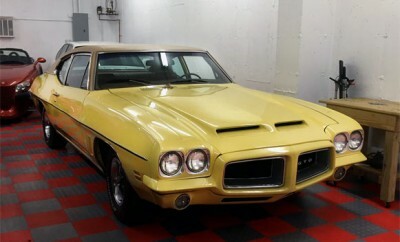 1972 Pontiac GTO 455, Matching Numbers, 1 of 5.